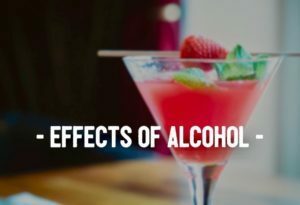 IS ALCOHOL EFFECTING YOUR RESULTS? Home / Fitness Blog / IS ALCOHOL EFFECTING YOUR RESULTS? Alcohol is something that so many people find very challenging to give up! When I take on new clients here at Fitter Nottingham Personal Training , it is normally one of the first things that their weaknesses will cave in to. But did you know that consuming alcohol can have a huge impact on you obtaining the results you really want? 1. Alcohol is pure empty calories, meaning there is no nutritional benefits from drinking alcohol. 2. Alcohol is also very calorie dense – there is 7 calories per gram vs 4 calories per gram of protein or carbohydrates, it is almost as calorie dense as fat which yields 9 calories per gram. 3. Drinking & having alcohol in your system will shut down any fat burning, the body literally cannot burn stored body fat as it needs to metabolise the alcohol first before it can burn any stored body fat..which all in all will postpone the fat burning process. This can last for days after a bout of drinking at the weekend- increasing chances of more fat storage instead. So you think about having a night on the booze on a Saturday night, that can have a knock on effect your metabolism for days into the week ahead! 4. Alcohol will also lower your testosterone– low testosterone levels means less chances of you building lean tissue- which all in all results in a lowered metabolic rate! You may think ‘well I am not too bothered about muscle gains’ but remember the idea behind having muscle is not just for body builders, carrying muscle is what creates shape/tone, it is what helps to improve posture/muscular imbalances/prevent injuries and will most importantly (when we relate it to fat burn) keep that metabolism burning far more efficiently than when we have low muscle mass. Performance in your training will also be effected. 5. Alcohol will increase your appetite & alongside this will lower your inhibitions- so when you drink your standards will slip & you end up making poor dietary choices. Instead of the healthy meal you have pre-prepared you will opting for the wrong things. 6. Alcohol has the side effect of weakening and causing stress on the stomach– this means less chances of you absorbing nutrients and digesting food properly. This will have a huge effect on overall health & also metabolism. 7. Sleep patterns will be disturbed– as drinking will effect your sleep, you will be less likely to fall into a deep sleep, you may find you fall off to sleep pretty quickly but this is not a true indication of you having a good quality sleep, you are most likely to stay in a less restful sleep (REM- Rapid Eye Movement stage). You will feel sluggish & tired, no matter how long you have a lie in for. 8. Drinking excessively on a regular basis can cause Liver disease-the liver is responsible for filtering toxins and metabolising fats, which is essential when it comes to maintaining a healthy body & body composition. Not only that the liver is responsible for over 500 various roles in the body. Something called oxidative stress can occur which is when the liver will try to breakdown alcohol- this process will cause damage & inflammation as it tries to repair itself. Not to be that person who throws the doom and gloom over the enjoyment of you all socialising, but it is important to be aware of the above consequences on our health & its effects on our goals. If you are trying to improve your health, lower body fat/lose weight- try to limit your intake of alcohol to occasionally only- don’t binge drink, think of all those wasted extra calories too!